1) In order to make an investment you need to replenish your ETH wallet. If you do not have ETH, you can buy it on one of these exchanges or in another convenient way. 2) After buying ETH on the exchange you need to transfer it to your Ethereum wallet (to do this, copy the address of your wallet and send the necessary funds from the stock exchange). 3) Enter the desired amount of investments and click "Invest"
Open the plugin by clicking on the icon in the upper right corner of the browser window and log in to the Ethereum network to perform operations with your wallet. 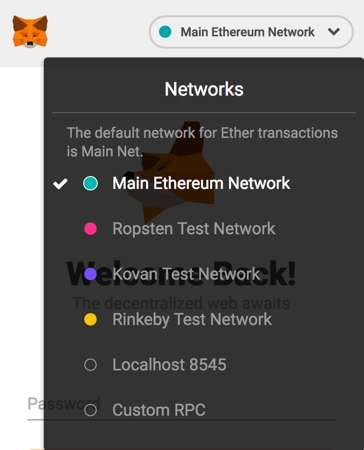 Open the plugin by clicking on the icon in the upper right corner of the browser window and click the “Connect” button to perform operations with your wallet. Fill in the information about your project - on the basis of this information we will make a web-page for you (all fees will be collected on it) and post it on our platform. Select the smart contract parameters for your ICO project. Pay for the creation of the project and its placement on the Ethereum network. Also, you will receive the address and the ABI of your smart contract. Keep track of your ICO and manage your tokens through the platform interface. 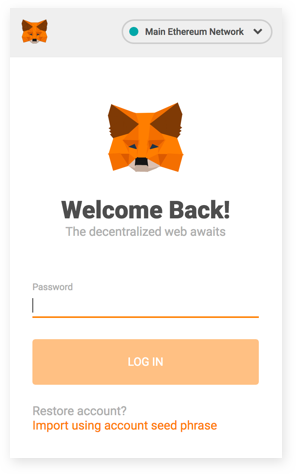 After confirming all the parameters, the user pays for the platform services, after which the site will automatically publish a user-created contract on Ethereum blockchain. In this case, the wallet used to pay for the platform services will be designated as the owner of the new contract. After successfully creating the contract, the user can use the contract in the same way as he would use a contract designed independently or received from other platforms — i.e. to monitor the number of tokens sold, withdraw funds collected by the contract to his wallet, and pay profit from the project. 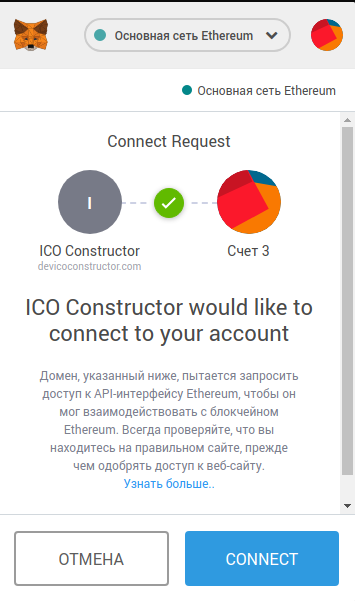 The advantage of ICO Constructor is its complete automation – users do not need to contact the platform and spend time waiting for answers, and they can create a contract in just 5 minutes. All the created contracts have passed a security audit and are not exposed to any attacks known as of early 2018.